< Previous Reflections of . . . Thanks It is kind of unreal how perfect and picturesque this castle is. That’s amazing – like something out of a film set. It is very fairy tale looking. The inside is charming too (and a little surprising), but no photos allowed inside. King Ludwig may have been a little nuts, but his sense of design was fabulous! This is so beautiful it doesn’t even look real! I love it! I know. I’d seen photos before and thought that it seemed photoshopped–it was so pretty and “Disney-esque.” But no. It’s really just that fairy tale-like. . . especially when the sun is just creeping out from behind the clouds. And the interior is fun! Worth the visit! If you go in the summer, try to purchase tour tickets ahead of time–long lines. The hike up to the castle is great too. 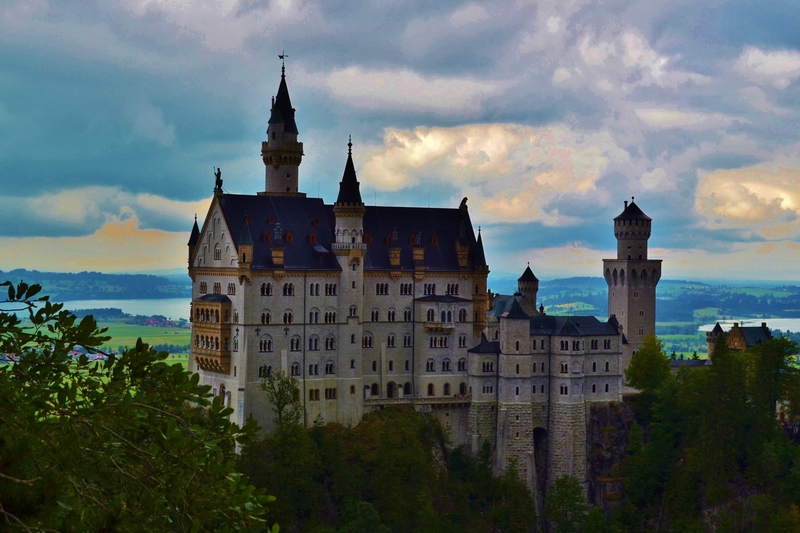 Neuschwanstein is very, very photogenic!